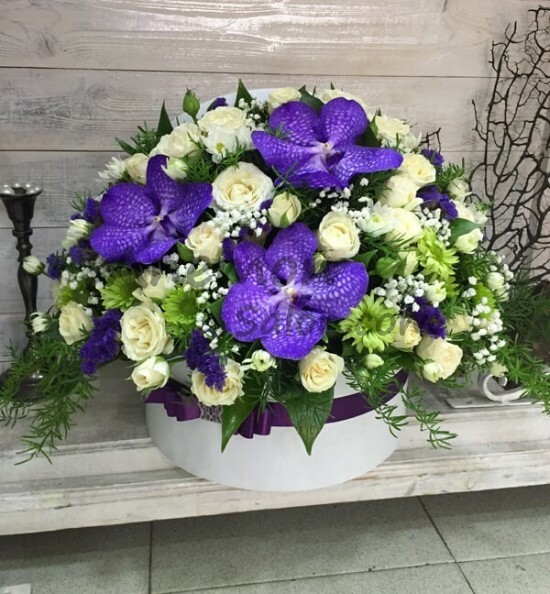 Beautiful arrangement in box with roses and orchid. Size: ↕ 35 cm. ∅ 35 cm.